The global art world lost one of its most important and dynamic figures on Friday, 15, March when Nigerian born curator, art critic, writer, educator and administrator breathed his last in Munich, Germany. According to his partner, Louise Neri, a director at Gagosian gallery, cause of death was cancer. He was 55. Born and raised in Nigeria before migrating to the United States of America as a nineteen-year-old student, Enwezor was perhaps, the most unlikely figure to ascend to the zenith of contemporary art curatorship and administration. One of the most influential figures in the world of global art, Enwezor held the record for being the only person to curate both the Venice Biennale (the first African born curator in the exhibition’s history) and the Documenta (where he was the first non-European artistic director), two of global art’s biggest and most important institutions. “Coming from Nigeria, I felt I owed no one an explanation for my existence, nor did I harbour any sign of paralyzing inferiority complex,” he once told his contemporary, art historian and academic, Chika Okeke-Agulu. From 2011 to 2018 when he stepped aside citing health concerns, Enwezor was director of the Haus der Kunst, a leading art museum in Munich, Germany. At the Haus der Kunst, Enwezor hosted solo exhibitions of work by Stan Douglas, Georg Baselitz, and Lynette Yiadom-Boakye among many other artists. The 2016 installation, “Postwar: Art Between the Pacific and the Atlantic, 1945–1965,” was an ambitious and unprecedented distillation of the story of postwar modernism around the world including about 350 pieces by over 200 artists. 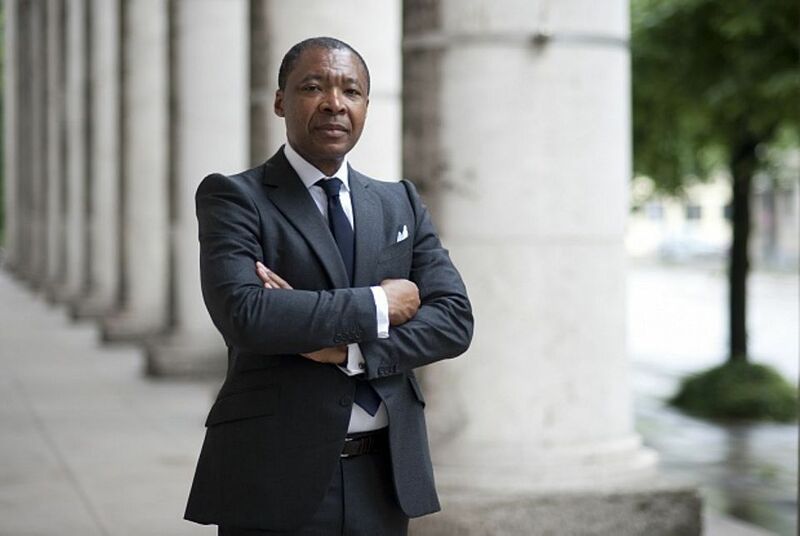 Born Okwuchukwu Emmanuel Enwezor in Calabar on 23, October 1963 as the youngest son of an affluent Igbo family from Awkuzu, Anambra state, he moved around severally with his family on account of the civil war before settling in Enugu where he spent most of his formative years. He commenced tertiary education at the University of Nigeria, Nsukka but transferred to the New Jersey City University where he earned a degree in political science. After graduation, Enwezor moved to downtown Manhattan, performing poetry at clubs and attending gallery openings. All of this activity led Enwezor to a career in art criticism and a hypothesis that African art and artists were largely absent from considerations on the world stage. As a minor corrective, in 1994, Enwezor alongside Okeke-Agulu, and other scholars, Salah M. Hassan and Olu Oguibe started Nka, a magazine of contemporary African art. The name was taken from the Igbo word for art or creation and the Basaa word for discourse. In an interview with Vitra Design Museum, Enwezor explained the choice of title as a search “for a term that projected an aesthetic horizon but would also constitute a forum of ideological resistance.” Nka became an influential voice in debates having to do with postcolonialism and art around the continent. The success of the publication led to an invitation by the Solomon R. Guggenheim Museum in New York to co-curate an exhibition of African photography. The following year, Enwezor curated the second Johannesburg Biennale, one of a string of international exhibitions he would take charge of over the rest of his career. These include but are not limited to the 2008 Gwangju Biennale in South Korea, The Rise and Fall of Apartheid for the International Center for Photography, New York, in 2012, the Triennale at the Palais de Tokyo in Paris and Meeting Points 6, a multidisciplinary exhibition which unspooled in nine Middle East, North African and European cities. In 1998, at the age of 34, Enwezor was named artistic director of the forthcoming 11th edition of Documenta, one of the world’s best-attended art shows. He put the budget of more than $20 million into good use, inviting more than half of the 117 artists and groups from Africa, Asia and South America to share equal billing with their western colleagues in an extravaganza that sprawled across five mega sites in the German city of Kassel in 2002. In the run-up to the opening of Documenta 11, Enwezor presented conferences and seminars Lagos, Berlin, Vienna, New Delhi and St. Lucia, further expanding the horizons of traditional art world orders. A proponent of political theory and thought, Enwezor’s sprawling, diverse exhibition as curator of the 56th Venice Biennale, titled All the world’s futures, was essentially a large experiment in social and political analysis. The sculptures, paintings, drawings, photographs, films and installations from 136 artists drawn from 53 countries ranged from high conceptualism to regular reportage, with plenty in between. Enwezor sought to present an in-depth look at the world through a variety of exhibitions and artists drawn from diverse corners of the globe. Enwezor is survived by his daughter, Uchenna Enwezor; an aged mother, Bernadette Enwezor; and four sisters. He was previously married to Muna el Fituri. As an academic, from 2005 to 2009 Enwezor was Dean of Academic Affairs and Senior Vice President at San Francisco Art Institute. He also had stints as a visiting professor at the University of Pittsburgh; Columbia University, University of Illinois, Urbana-Champaign; and University of Umea, Sweden. In 2012, he served as the Kirk Varnedoe visiting professor at Institute of Fine Arts, New York University. He has been published widely on various art fora.